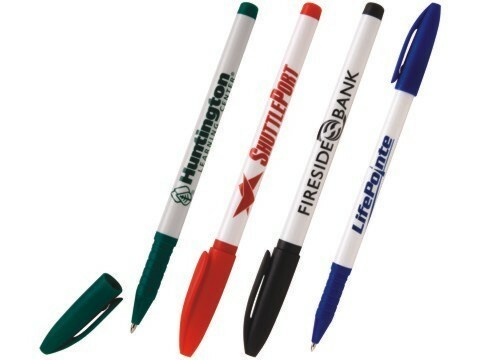 Economical pull cap stick pen features ribbed grip. Generous imprint area. Guaranteed ultrasmooth writing black ink.